Darek Oles Oleszkiewicz was born in Wrocław on the 20th of February 1963. Initially, he studied piano at the State Music School, after that he played guitar and bass, and only at the age of 18 did he discover double bass – an instrument that would become the musical love of his life. His talent was noticed by Jan Ptaszyn Wróblewski in Krakow, during the 1983 Jazz Juniors Festival. A year later, Darek went on to win a number of festival awards in the individual, group and composition categories. Since 1984, Darek has been performing on a regular basis at festivals, clubs and recording studios in Poland and abroad with artists such as Ptaszyn, Zbigniew Namysłowski, Tomasz Szukalski and Henryk Majewski. 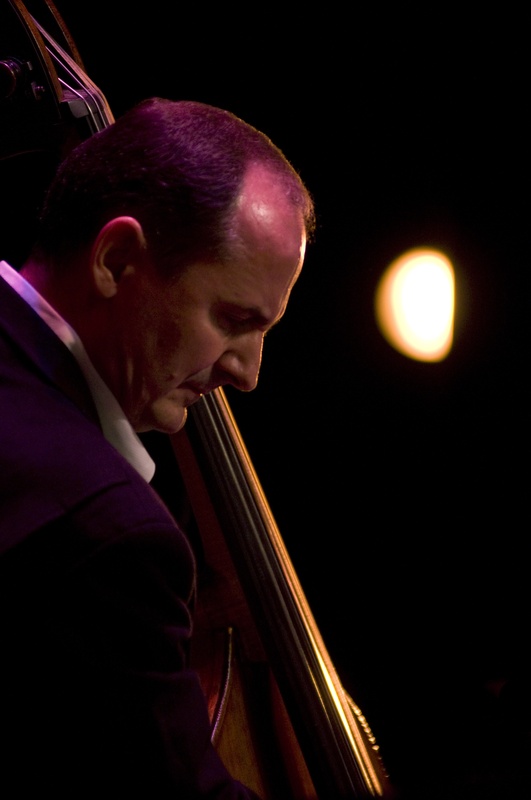 In 1988 Darek received a fully funded scholarship from the California Institute of The Arts and began his studies with double bass virtuoso Charlie Haden. After graduation, he took the position of a double bass professor, and he has been teaching there for 16 years. In 1994-2004, Darek was the leader of the Los Angeles Jazz band. During that time, he was also invited to concerts and recordings by the greatest jazz stars, including Brad Mehldau, Billy Higgins, Joe Lovano, Charles Lloyd, Pat Metheny, Lee Konitz, Bennie Maupin and many more. Darek Oleszkiewicz recorded more than 100 vinyl records and compact discs as a leader, co-leader and sideman, and many of these records were nominated for Grammy and Fryderyk Awards. Darek’s latest project is a CD/DVD release entitled Expectation, which he recorded as the leader of the all-star band Los Angeles Jazz Ensemble for Kind of Blue Records. He also celebrates the 25th anniversary of the LA Jazz Quartet together with the band. They have released four albums to date: Astarte, Look To The East, Family Song and Conversation Piece, they also played a ton of concerts.